The Three Stooges – Disorder in the Court© video slot is based on the hilarious comedy starring the trio Moe, Curly and Larry. 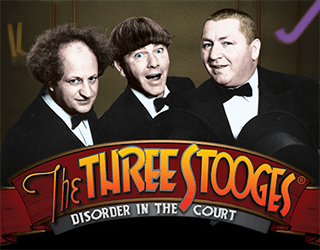 The Three Stooges, Disorder in the Court© video slot, developed by NuWorks, offers a lot more than most video slots. With 3 different bonus features, entertaining clips from the film and the theme music, this video slot has it all. Select the total bet per spin by clicking on the +/- buttons on either side of the “TOTAL BET” box. The amount here is divided over the 25 lines. Then, click the large green “SPIN” to get the reels rolling. Simultaneous wins on different bet lines are added together. Stacked Symbols and the Nudge Feature – When the stacked Moe, Curly and Larry appear in the first 3 reels, if they are not in line, they will automatically nudge into place for a win. 'Black-Bottom-Café' Free spins round - This bonus feature is triggered when the three stacked symbols appear at the same time, awarding 9 free spins. Depending on the number of Stooges achieved during the free spins, the initial bet is multiplied by 3X up to a massive 333X. Whack-A-Juror bonus game – This bonus round is initiated when the “Whack-A-Juror” (parrot) bonus icon appears anywhere on reels 1 & 5 at the same time. The aim of this bonus round is to “whack” as many jurors as possible. Each juror carries a value and adds to the total win. Three misses and the round ends. Tag-Mix-Up bonus game – This bonus feature is triggered when the Tag-Mix-Up (lawyer with a pistol) symbol appears anywhere on reels 2, 3, and 4 simultaneously. 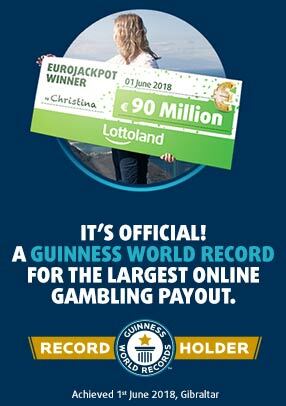 The aim of the round is to select 3 of the evidence items, which each has a hidden prize multiplier that multiplies the line bet and adds to the total win. The “Three Stooges” are wild and can substitute for any symbol except for scatters. Depending on the number of wilds in the combination, if you are fortunate to land 5 “Three Stooges” at the same time, this triggers the jackpot. Scatters are any of the symbols with Moe, Curly and Larry on their own. Three or more scatters anywhere on the screen pays. Three scatters pays 2X the total bet, 4 scatters pays 4X and five scatters pays 200X. The paytable, accessible via the paytable icon, offers a comprehensive breakdown of all winning combinations as well as the Free Spins, Whack-A-Juror and Tag-MIx-Up rounds.